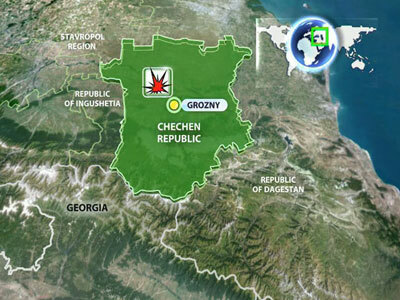 At least three Interior Ministry soldiers were killed and several more wounded in two explosions near Grozny, the capital of Russia’s Republic of Chechnya. Remains from a suicide bomb-belt were found at the scene. 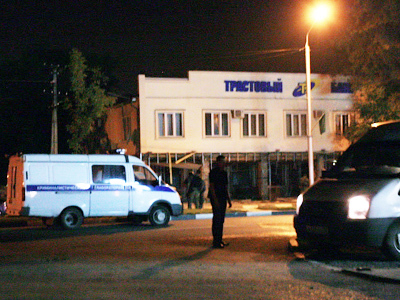 The two explosions near an army surplus store in Khankala, a neighborhood adjacent to Grozny, were carried out by two unknown individuals. The blast allegedly killed three and injured three, both military members and civilians. The fourth body is believed to be the remains of one of the suicide bombers, Russian investigators reported. The wounded were immediately taken to a local hospital, and are reportedly seriously injured. The blast zone was cordoned off, and investigators are attempting to identify the suicide bombers and any possible accomplices. According to different report, the bomb went off under an armored vehicle as it left a police checkpoint near the surplus store. 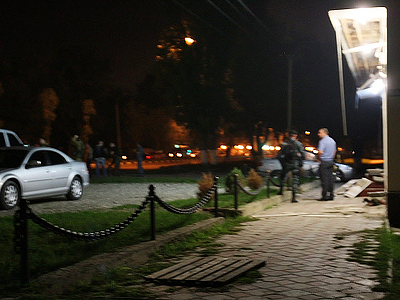 The car was severely damaged in the blast, though it was unclear what kind of explosive was used and who carried out the attack, Interior Ministry spokesperson Vasily Panchenkov said.